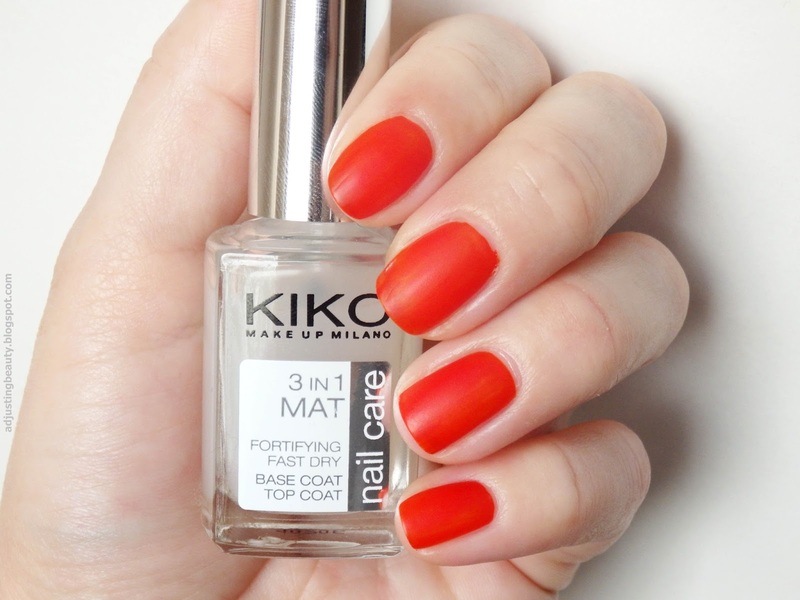 One nail polish that I was most looking forward to getting, is this Kiko's Mat Top Coat. I love matte finish nails. I guess, anything that's not usual or common, it's more attractive to me. Most nail polishes are shiny and so I love matte nails. 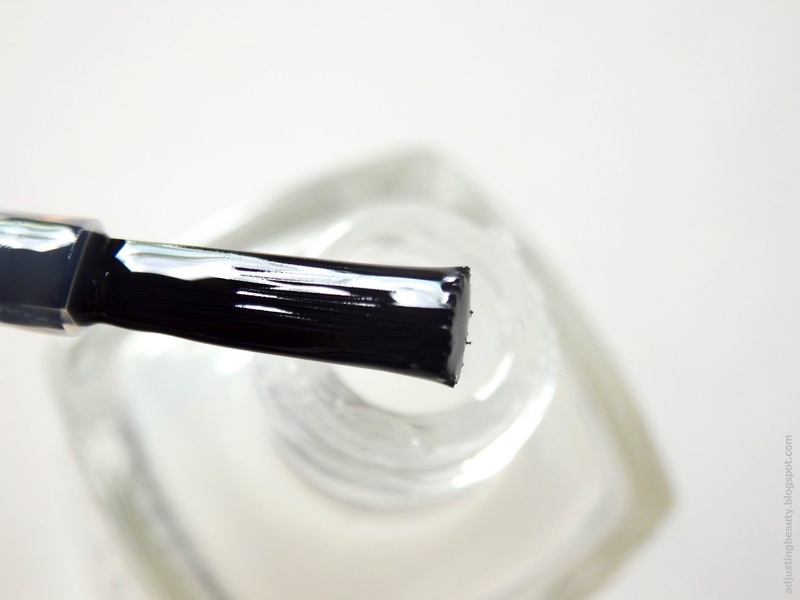 If you like that finish as well, I promise you, you'll love this top coat. 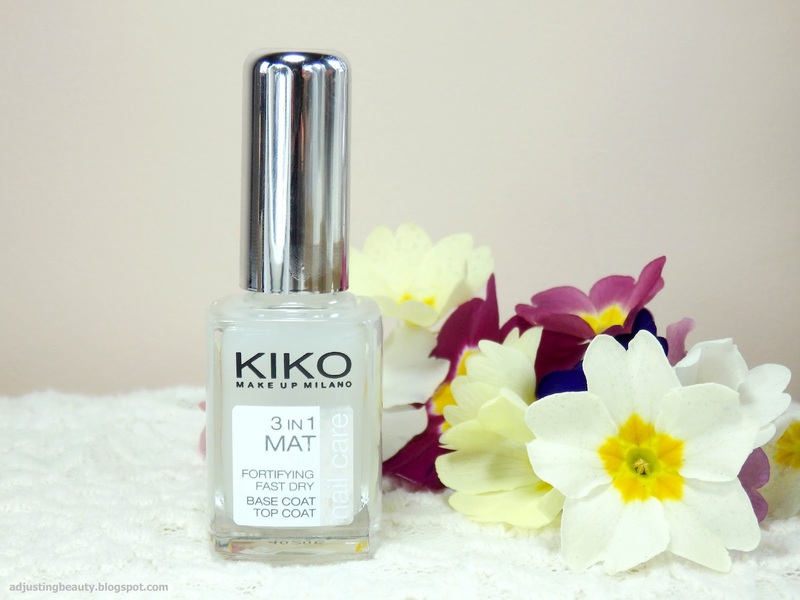 Kiko 3 in 1 Mat Fortifying Fast Dry Base and Top Coat costs 4.90€ and you get 11 ml of nail polish. It comes in a cute square glass bottle with silver top. I guess this is also a base, if you want it to be, but I just used it as a top coat. The brush is pretty regular, straight cut, but I find that it expends nicely over the nails. That means you can cover a lot of the nail in one swipe. I personally love this, especially with the top coats. Because sometimes if you play for too long, you may ruin the design. It dries fast, so you have to be quick. I think it's like that with most of matte top coats. I also find it to be a really good consistency. It's not too think, but also not thick in any way. Just the perfect consistency that allows you to apply it quickly and it still spreads nicely. I tried it with many different brand of nail polishes and I think it has a descent staying power. It won't last like Seche Vite, but it doesn't chip the second day, either. 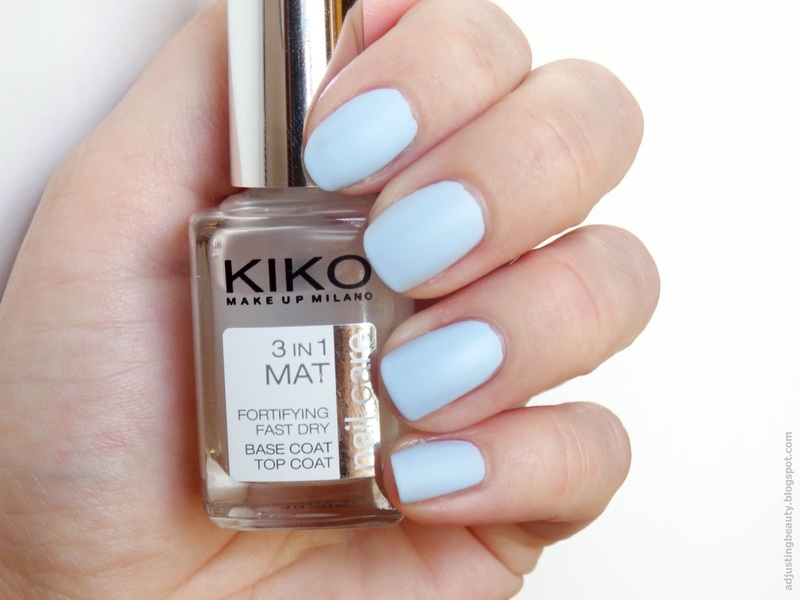 I tried it on top of Kiko nail polishes, because it should work best with those. 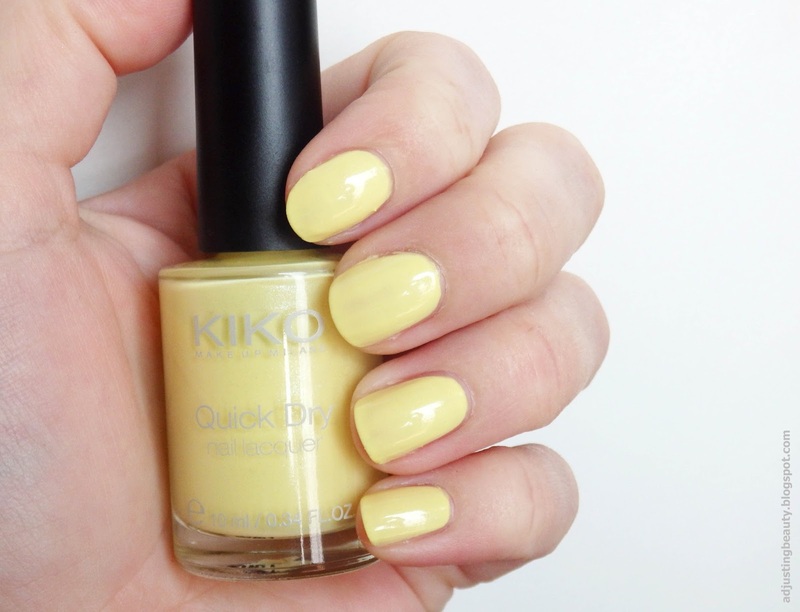 Here I used Kiko Quick Dry nail polish in 853. You can see that it looks completely matte, once it's dry. I love, love that finish! I also used it on top of Maybelline Color Show nail polish in 341 Orange Attack. I think black nail polish still looks best with a matte top coat. 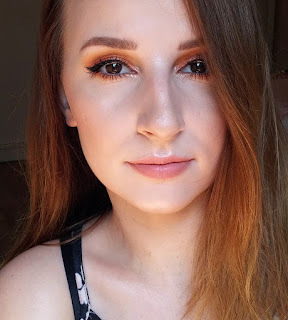 Here I used Maybelline Color Show in 677 Blackout. And for the spring season, you can make your pastels look so much cooler with matte finish. Here I used Models Own Hyper Gel nail polish in Powder Blue. I've seriously worn this top coat, ever since I got it. You'll even see I used it in some nail art designs. I just love the matte finish and I wanted a good matte top coat. This one ticks all the boxes. 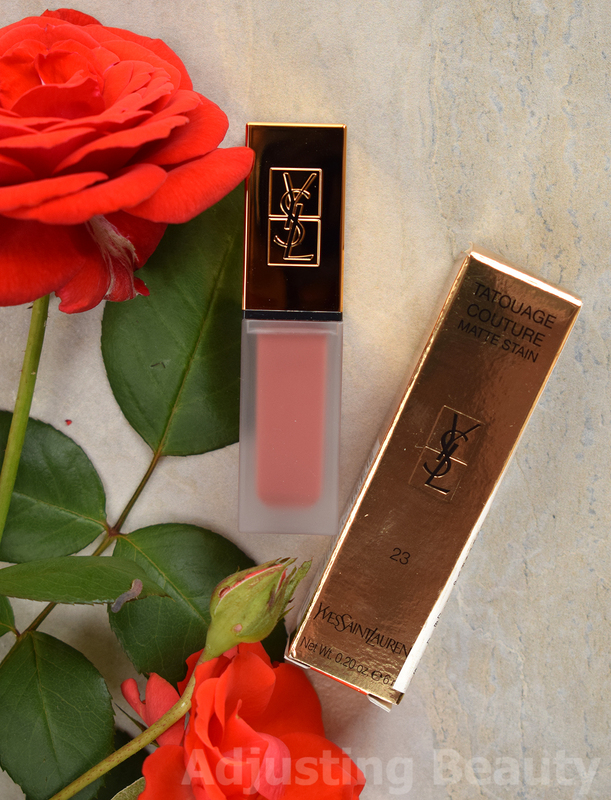 It dries fast (but not too fast), it doesn't chip quickly, it definitely has a matte finish and the consistency it's a dream to work with. If you're looking for a good matte top coat, I highly recommend this one.